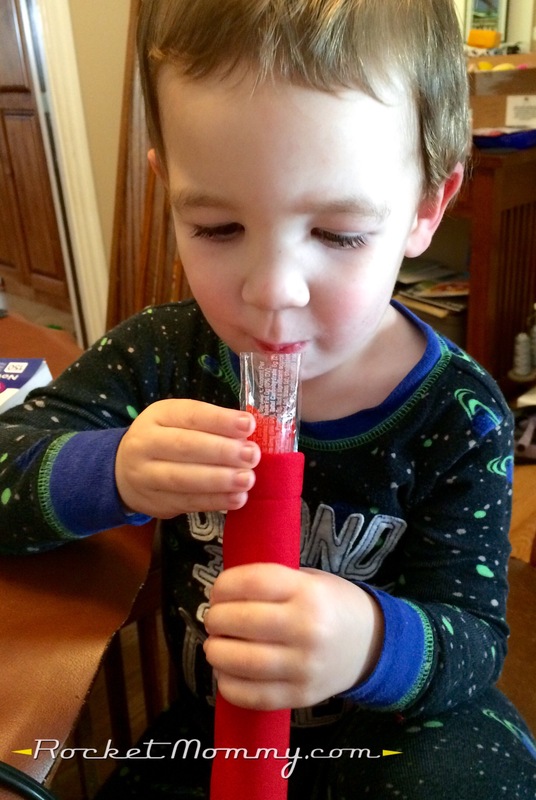 If your kids are anything like mine, they love anything that they can eat out of a tube. Gogurt and Otter Pops are HUGE around our house. And that’s fine, I suppose, but my kids are contentious little monsters when it comes to two things: what color Otter Pop they get, and which character is on their Gogurt. The giant warehouse club-sized box of yogurt tubes that I buy for their lunches has Frozen characters on each tube, but C ONLY wants the Elsa yogurt and both boys have literally come to blows over who gets the Olaf yogurts. It is a sad, sad day for whoever gets the unloved Kristoff and Sven Gogurts at the bottom of the drawer. 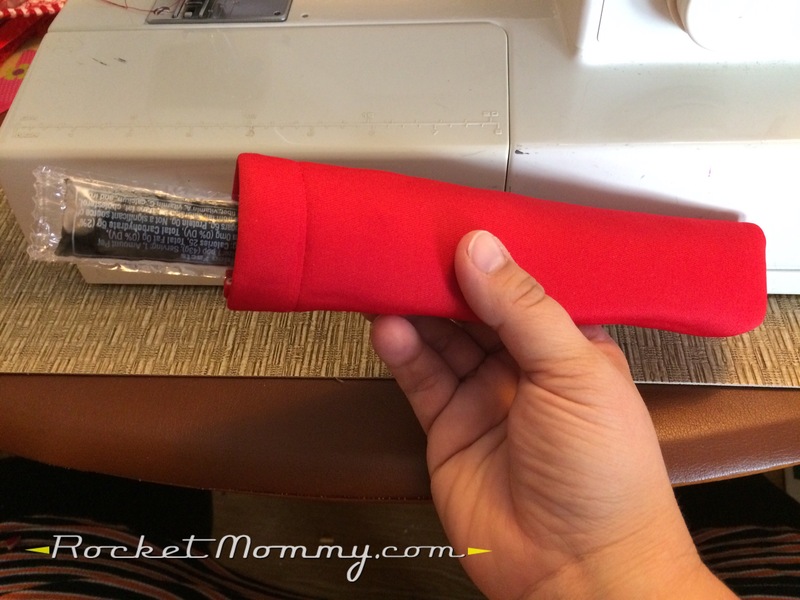 Well, this past weekend, I finally decided I’d had enough of their fighting over this nonsense, and I set about making my own insulated sleeves for their Gogurt tubes. 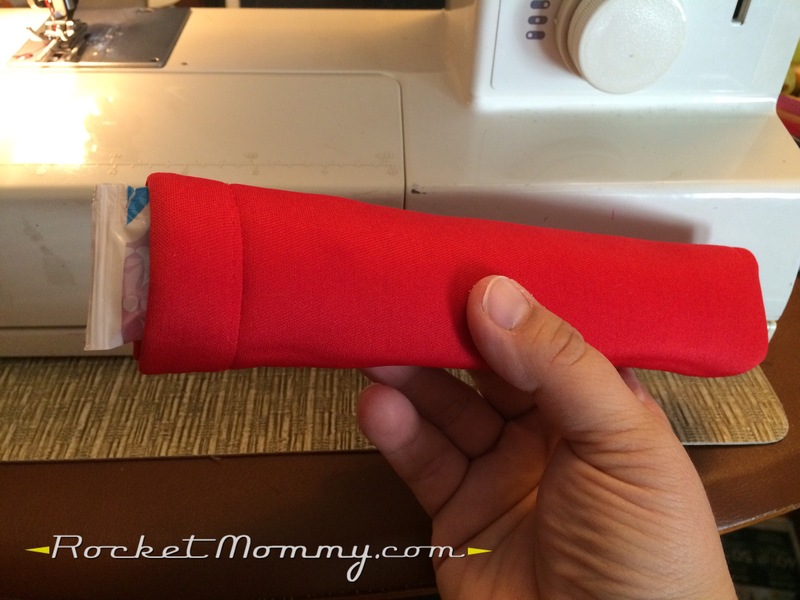 There are lots of these that you can buy already made (like these Kooleez sleeves and this 8-pack of popsicle sleeves on Amazon), so if you like this idea but aren’t so jazzed about the idea of sewing, you should go ahead and grab some from there. But I already had the supplies hanging out in my craft closet and I wanted them faster than Prime shipping could bring them to me, so I knocked these out pretty fast. 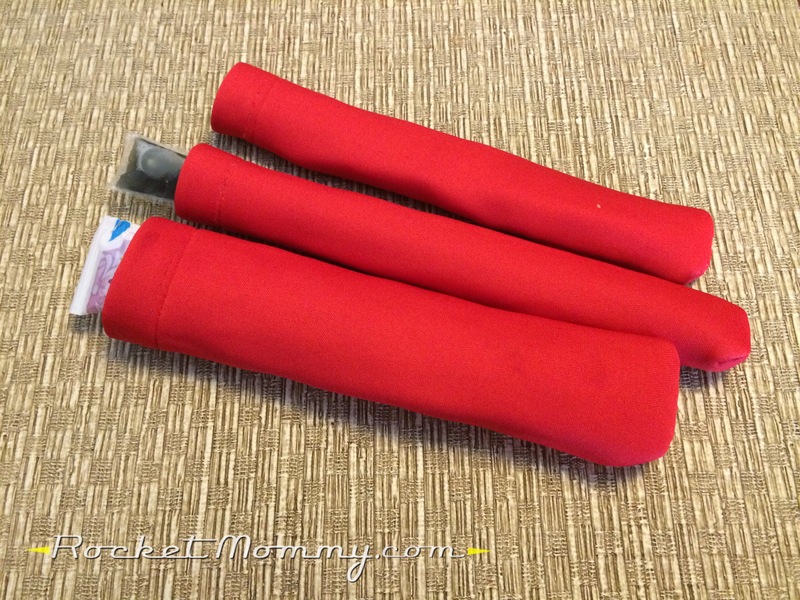 To make these, you need at least one neoprene tablet case, which can typically be found at a dollar store. 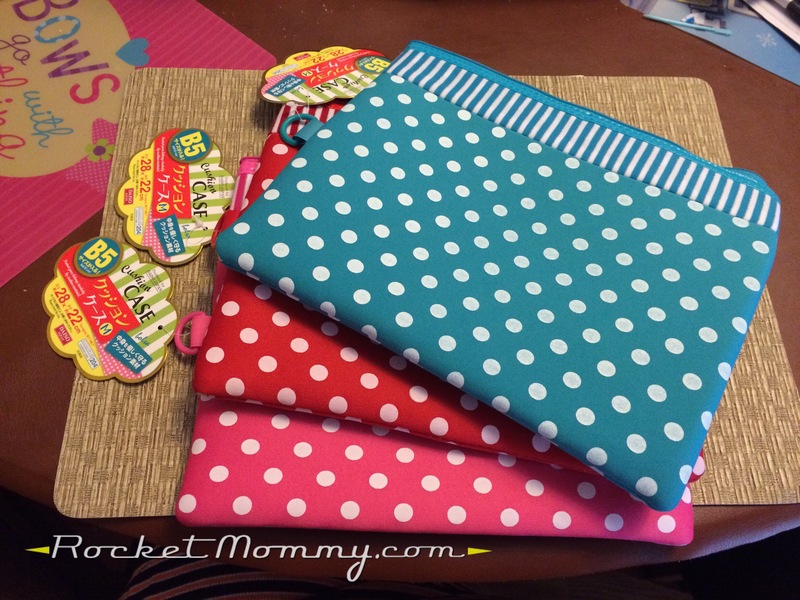 I had this stack of cute polka-dot cases from Daiso Japan that I bought when I was making my own stroller grip covers (that deserves its own blog post someday! ), but I’ve seen plainer ones at Dollar Tree before. I started with the red one. 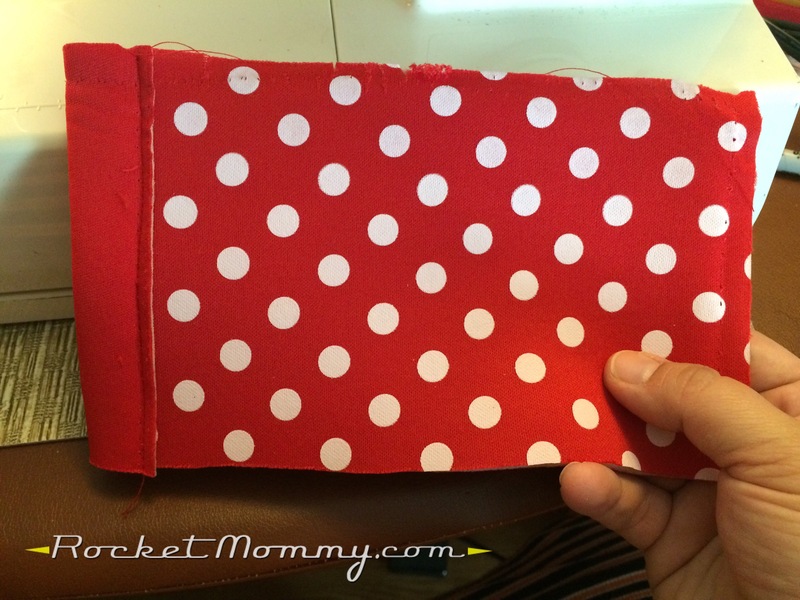 And even though the polka dots are really adorable, I decided I was going to use the backside of the fabric to make them solid colors. My intent was to either write their names on them or perhaps add some of their favorite characters with fabric paints, so I wanted a more neutral canvas. 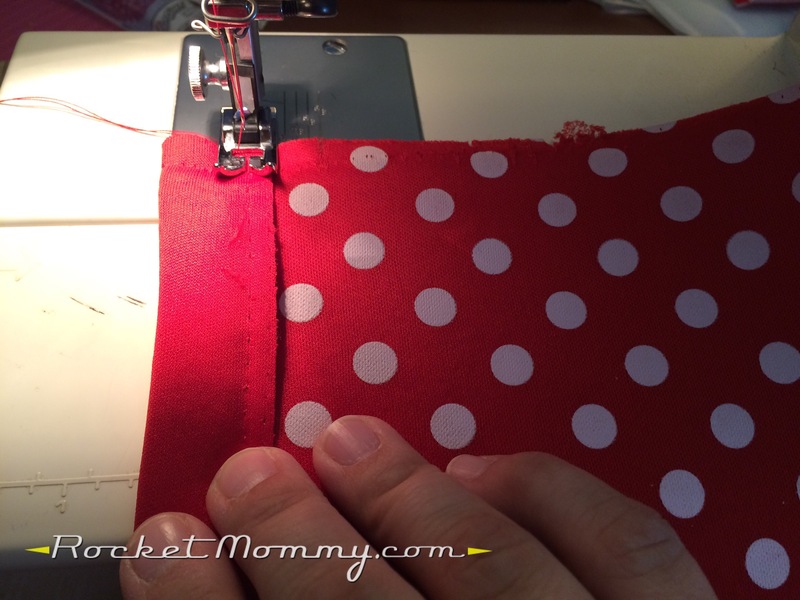 Lay the pop out to make sure you have enough fabric to work with. 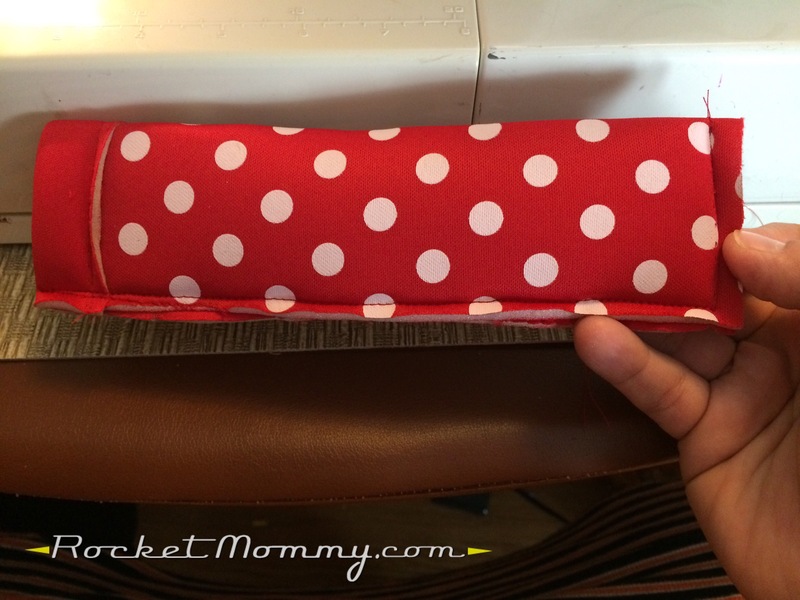 Then turn the case inside out so you can see all of the seams. Now, I know I called this fabric “neoprene,” but I’ll be honest – I have no idea if this is truly neoprene or not. It’s a layer of foam with fabric laminated to it on both sides. Whatever it is, though, it seems to have some decent insulating properties, so it works well for this project. 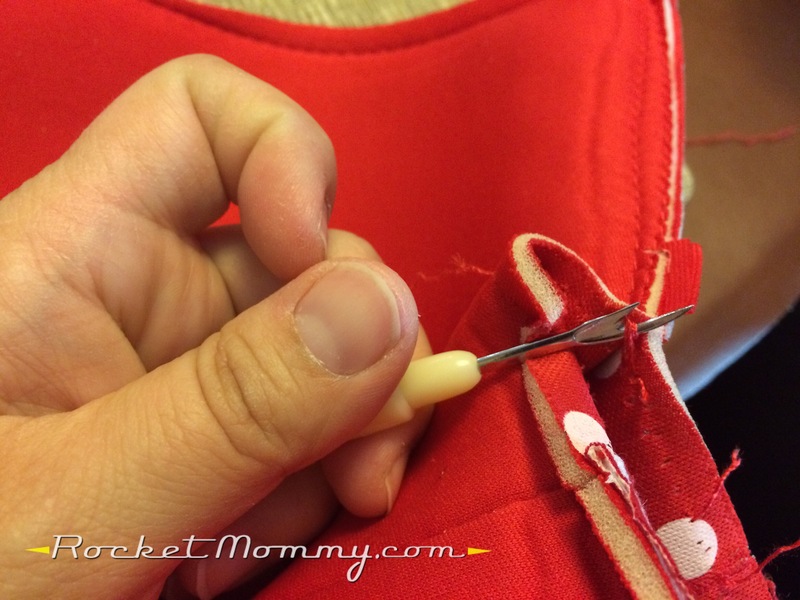 Grab your seam ripper and take the whole case apart. 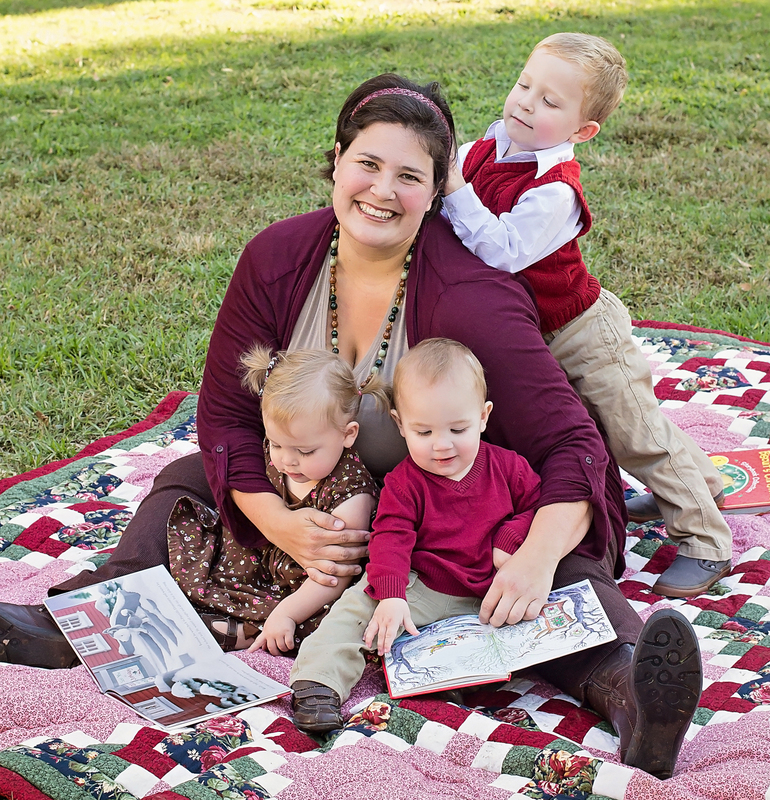 These had zippers and some additional fabric trim stitched to them – get it all off! I was left with two sheets of fabric. Your materials may vary. ( I set the zipper and the vinyl piping aside in case I need it for something else someday). 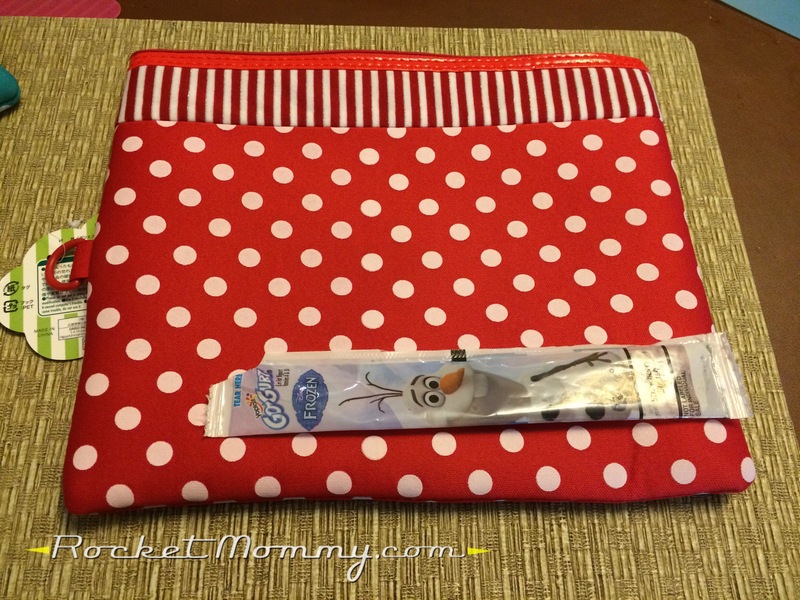 I measured the frozen Gogurt tube and determined that my 9.5″ long piece of fabric would be fine for these purposes. 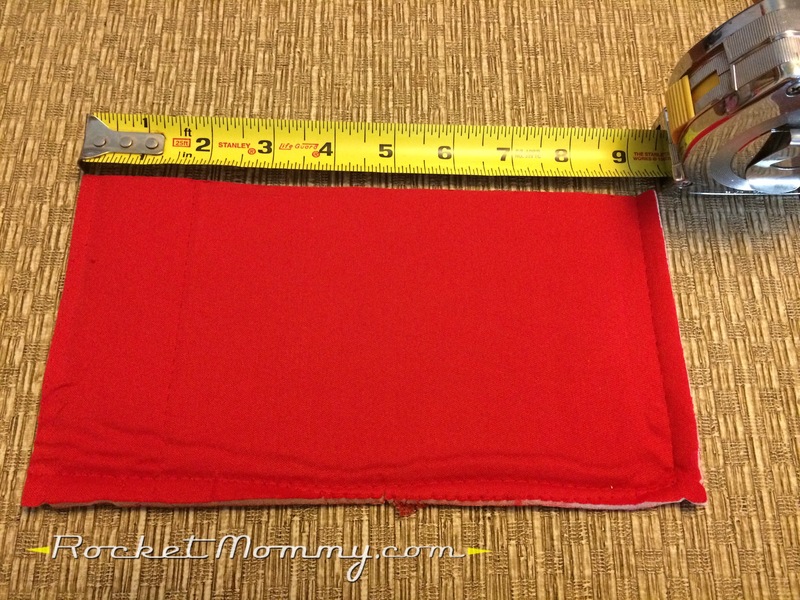 I cut the fabric to 5″ wide, but for some reason I didn’t think to take a picture of that measurement. Bad blogger! 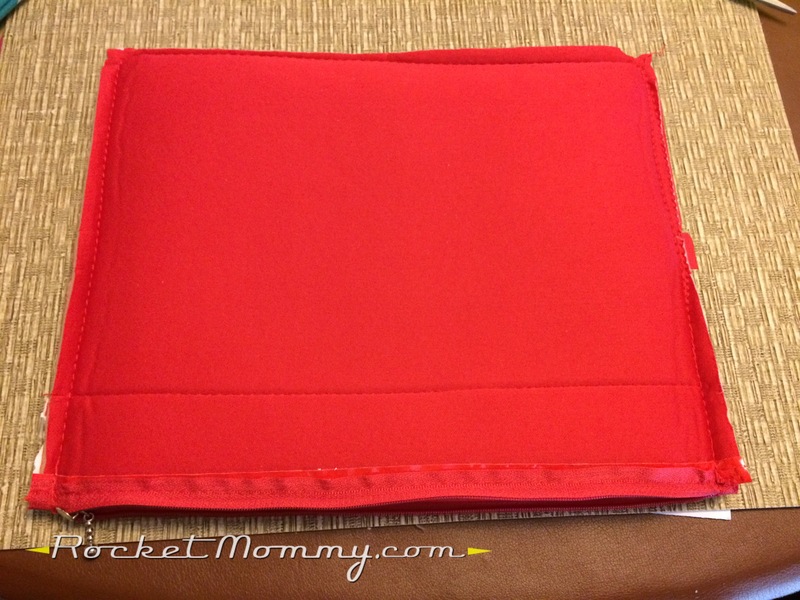 Since my fabric had a stitching line in it already, I used it as a guide to fold down the top edge. 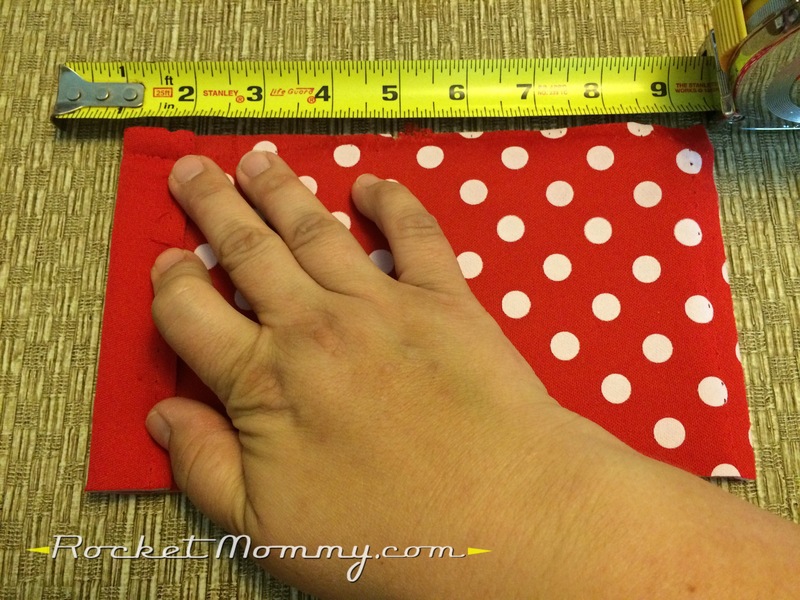 If yours doesn’t, you can improvise, but I folded that top edge down about an inch, so the overall sleeve length is around 8.5″. 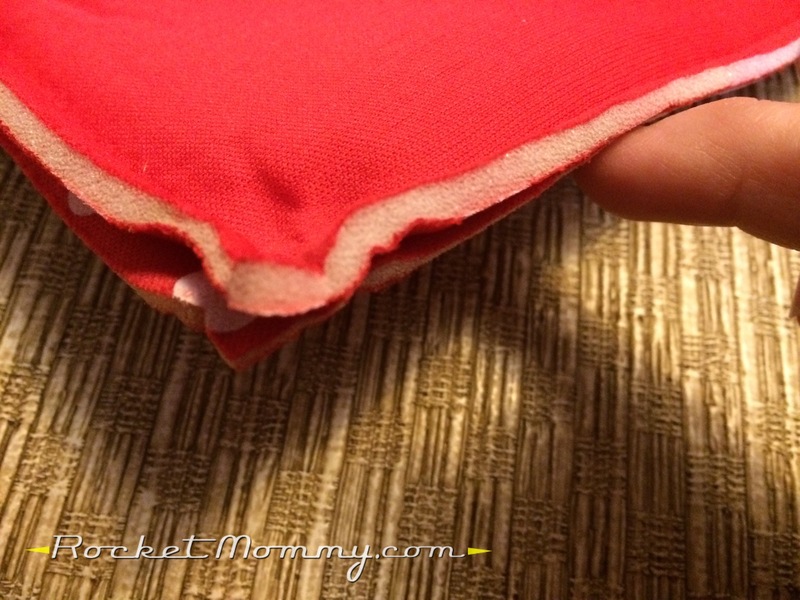 IMPORTANT: Fold the lip to the INSIDE of your pop sleeve! Then I just ran a quick line of stitches to hold that folded lip in place. 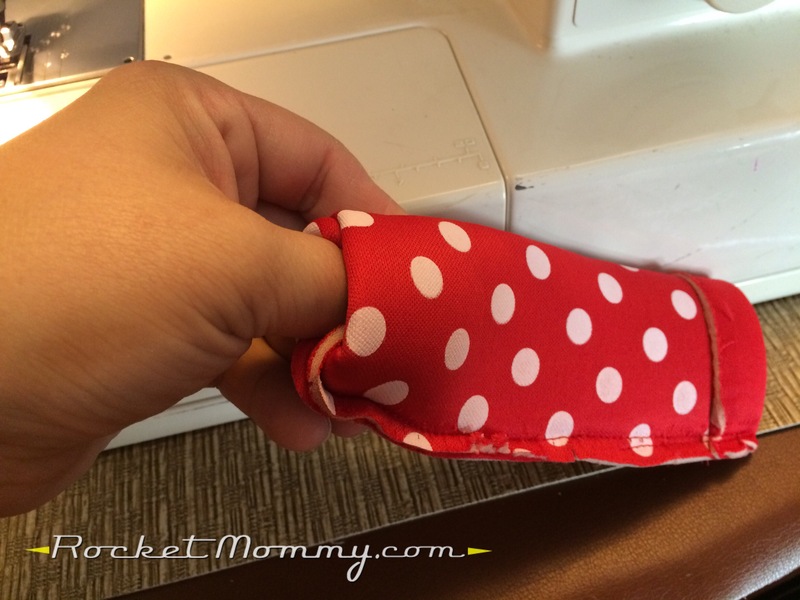 Next, with the wrong side out, fold it in half and sew across the bottom and then up the side. Now you’re going to have to turn it right-side-out. You might need to get a pencil or a chopstick or something to help with this! And that’s it! 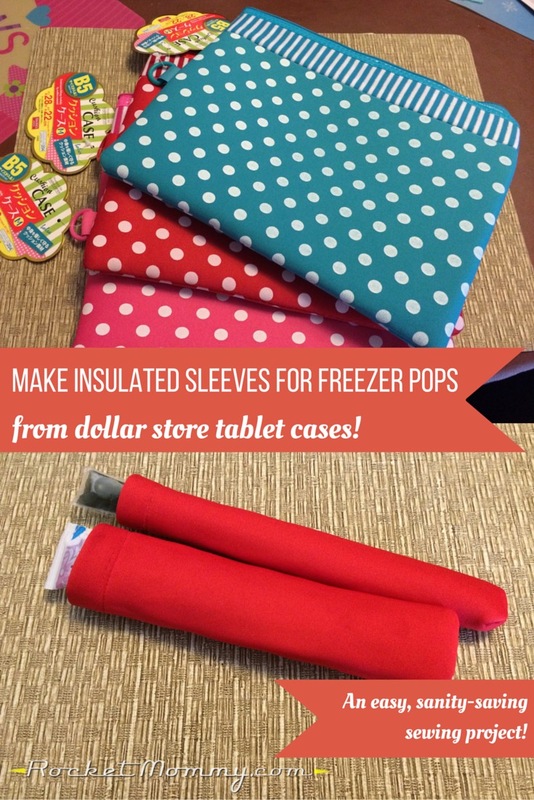 Your freezer pop sleeve is done! It fits the Gogurt tube perfectly. And it’s a little roomy on the Otter Pop, but it still holds it securely enough for a kid to eat it AND it keeps them from whining about cold hands. 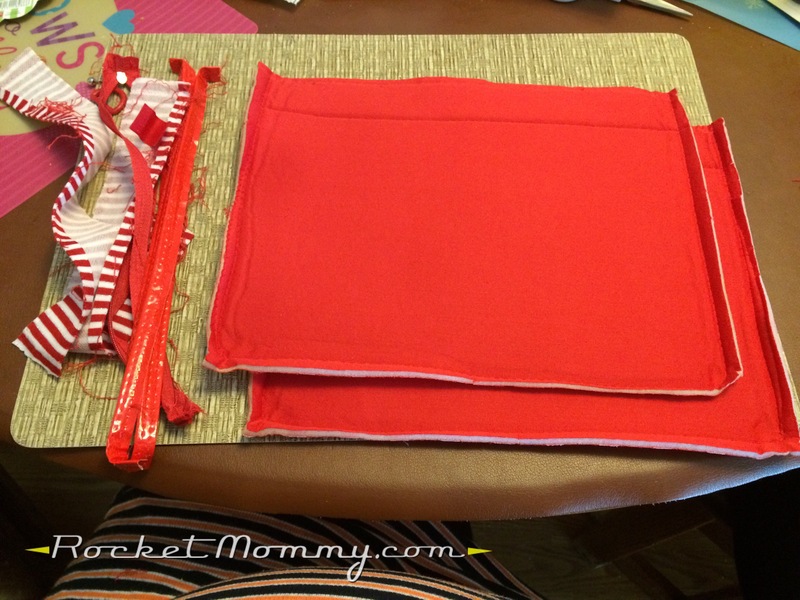 But you can also follow the same process to make one that fits the Otter Pop perfectly! 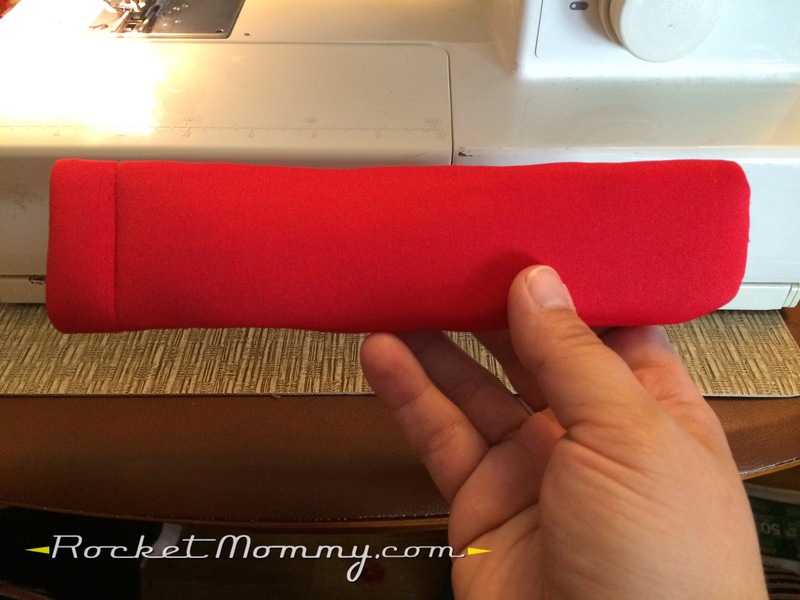 I had enough fabric left fron the first piece to make TWO skinnier sleeves that will be used for Otter Pops. Instead of keeping it at 5″ wide, I cut it down to 3.5″ (because the piece I had left over was 7″ and I wanted to use it all up) and they fit great. Here’s hoping that covering up the characters with everyone’s favorite color will cut down on the mealtime fights! But even if that doesn’t happen, they’ll still keep a Gogurt tube frozen longer in the lunch box and keep us from using a zillion paper towels to avoid chilly little Otter Pop fingers. Totally worth doing, in my opinion! And maybe one of these days I’ll get around to decorating them. Maybe.